Objective: Students will familiarize themselves with traditional harvest paintings throughout history and create their own unique works of art to represent what a harvest means to them. Materials: Samples of famous paintings depicting harvest, paper suitable for wet or dry media, painting and drawing materials such as tempera, watercolor , or acrylic paints, pastels, or colored pencils, art boards, painter’s tape, brushes, cups, water, and paper towels if needed. Note: This lesson will span at least two class periods and require that students bring in their own materials to use as subject matter in their paintings. Step One: Introduce students to famous paintings depicting harvest scenes and discuss with students how harvest traditions have changed in meaning over the years. 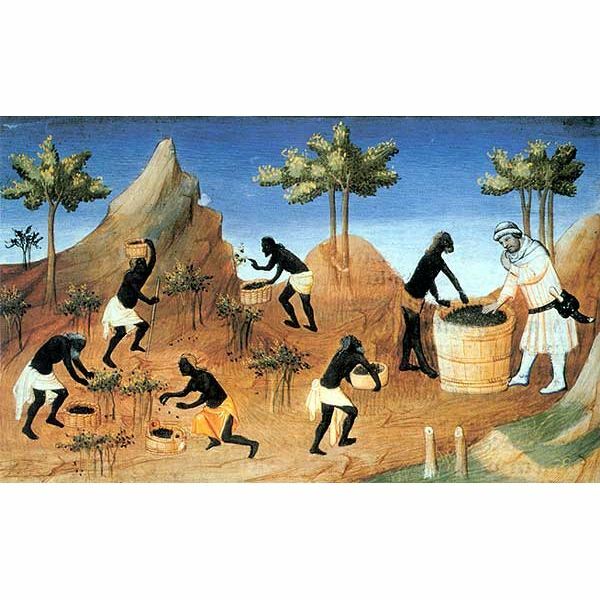 Students might also share their thoughts on the social implications of artists depicting peasants harvesting crops in their works. You may also want to choose some contemporary harvest-themed art to contrast with the themes presented in the historical pieces, to discuss the difference in how people think about harvest and food today. Step Two: After discussion of harvest themes in art, give students time to discuss what the word harvest means to them. Students may associate harvest with specific food, or events or holidays, or places (such as a pumpkin patch, fall fair, or farm). Ask students to come up with ideas for their own harvest paintings and make a list of things they would like to include in their paintings. Encourage students to think beyond literal representations of harvest, and to expand the ideas to include social issues if they are interested in making paintings that represent themes rather than objects (such as starvation, abundance, the plight of agricultural workers, concern over pesticides, etc). Students will write a short list of items they need and a paragraph description of what they play to include in their paintings the next day. Step Three: On the second day (or class period), students may begin working on their paintings, using their reference materials they have brought in to bring their ideas to life in their works. Encourage students to follow their written plans as much as possible so that they can stay focused and get their paintings completed. Provide a basic harvest-themed still life arrangement in front of the room for students who forget to bring in items or who missed the previous day’s discussion. Assessment: Ask students to post their completed works around the room, and allow time for students to walk around and evaluate each other’s work by noting what harvest appears to mean to each student based on the subject matter of the paintings.